Are some wines more romantic than others? Absolutely! Port for instance is a seductively slow sip that vies for the title of most romantic wine. Additionally, Port is ideal for winter thanks to the warmth of brandy added during the winemaking process. I’m thrilled about receiving the highly anticipated release of Quinta de la Rosa’s 30-Year-Old Tawny Port. 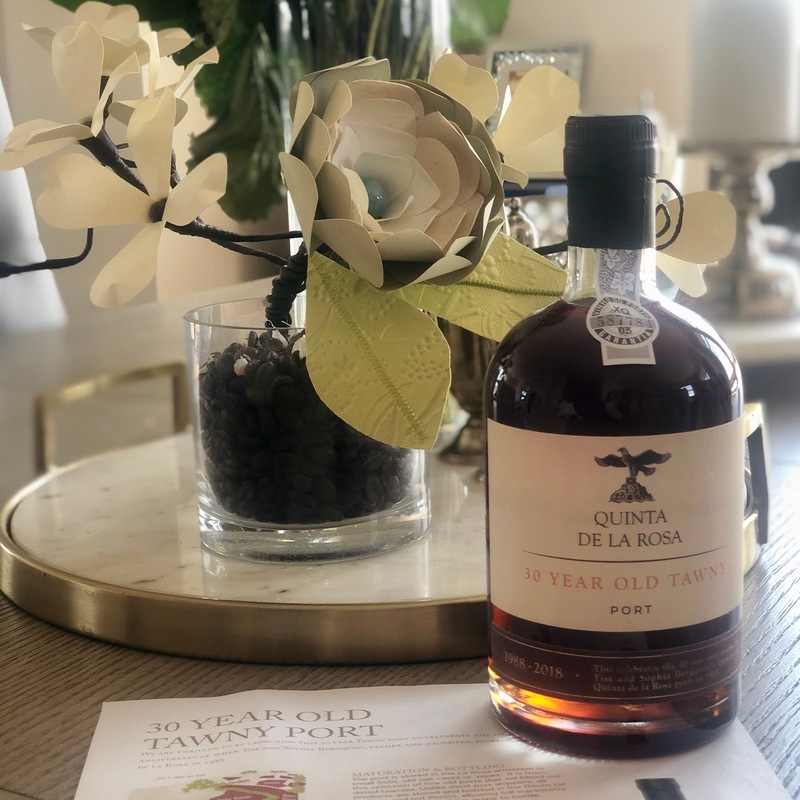 This collectible port celebrates the thirtieth anniversary since the Father/Daughter team of Tim and Sophia Bergqvist started Quinta de la Rosa in the Douro. This beautiful amber color port is aged well for three decades. Respectfully, slow down and don’t rush this. This is definately a bottle you need to spend some time with. It has enormous elegance and complexity. 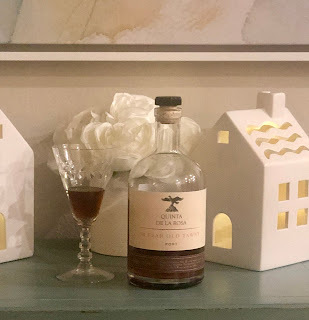 Winemaker’s Notes: On the nose, slightly dried fruit aromas with touches of balsamic vinegar, coffee and exotic wood being just some of the components. On the palate it is simply delicious, almost light but with incredible intensity of flavor, soft, mouth filling with great persistence. Food Match: Best served with red meat and more powerful dishes. It also goes well with cheese especially the Serra cheese found in Portugal. It is a wine that can be drunk now or aged up to 10 years. Truth is we opened the night we got it. After all, it’s been waiting 30 years for us. I agreed with the winemaker's tasting notes. I got all that, especially the dried fruit and coffee. Additionally is well paired with a roaring fire and smooth jazz. If you’re not sure if the port is your libation of choice, you need to try this particular port. I encourage you to taste ports to discover and expand your palate. Or you could straight to this one and hear angels sing as you sip. I found it slightly dryer and not overly sweet. The brandy is seamlessly integrated for a sophisticated sip. This wine will lure one to put technology aside and read great literature or engage in deep conversation. A great port can do that. I adore this handsome liquid art. Yes, some wine is more romantic than others. Quinta the la Rosa his muito romântico.